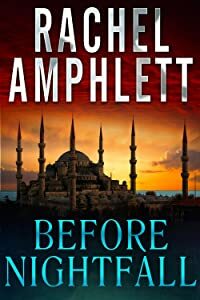 With the release of my new suspense novel, Before Nightfall, this month, I thought I’d take the opportunity to introduce readers to some of my favourite Australian romantic suspense authors. By way of explanation, my reading tastes vary considerably but my ‘comfort zone’ lies somewhere between thrillers and suspense. Some years ago, I was introduced to the books of Sandra Brown, Suzanne Brockmann and Linda Howard. Imagine my delight then, when I discovered some home grown romantic suspense authors, right here in my backyard! As a native Brit, I think there’s always something romantic about the idea of Australia to overseas visitors anyway. The red dirt, scrubby plains, immense blue skies, beautiful beaches, and wide, desolate open spaces – all these elements combine to create a lush backdrop for mystery and intrigue. As a reader, I think the following three authors capture the essence of the Australian landscape perfectly in their writing, while demonstrating the resilience of the people in these remote and wild places. I read Helene’s Burning Skies for the first time early last year, having had her novels on my ‘To Be Read’ pile for quite some time. The descriptions of rampant fires tearing through the Queensland landscape are incredible, supported by a suspenseful story with emotions and heartache that will tug at your heartstrings. Helene has an enviable knack of taking the reader on a character-driven journey that will resonate long after you finish one of her novels and she’s consistent in her balance of heart-stopping tension and heart-wrenching emotions. Another of her books, Safe Harbour, is no exception. From the storm-ravaged waters of the opening scene, through to the pursuit of Darcy and the mysterious man she's rescued from the sea near her home town, the conflict never wavers. There are some truly heart-breaking moments along the way, and I don't mind admitting I read some parts of this novel with tears in my eyes - it's truly evocative. The first book I read by Bronwyn Parry was Dead Heat, and it certainly won't be the last. I picked this up as part of the Goodreads Aussie Author Challenge 2014 that I'm taking part in (which is a great way to discover new authors). Jo, the protagonist is a strong, capable and likeable character, so as a reader, you're definitely in her corner all the way. I read in an interview somewhere (I think it was one of Helene’s!) wherein Sandy was credited with being the first to really kick off Australian Romantic Suspense, and I know she’s been responsible for many Australian authors to pick up a pen and begin writing. I started off by reading Dance with the Devil and thinking to myself ‘why on earth have I only just discovered this author? She’s fantastic!’ I then moved onto Fatal Flaw, which I devoured over a weekend. The good news is, there are eight novels so far by Sandy, so I’m trying to ration myself, otherwise I’m in danger of gulping the lot of them and feeling bereft when there are no more! The thing I really like about the above authors is that they are incredibly generous with their time and advice – they are very approachable, keen to pass on any tips they can and support up and coming writers in their genre. I highly recommend you check out their books, and get to know our great Australian romantic suspense authors. Thanks for spreading the word, Rachel! Thanks Janice - and thanks for joining my mailing list, too. I'll be sure you're kept updated with any news about upcoming book releases from my fellow countrywomen!